Sepp Blatter’s decision to step down as president of scandal-besmirched FIFA presents an excellent opportunity to raise the organisation’s governance skills. As well as ridding itself of association with all sorts of foul play, soccer’s governing body should align its power base more closely with those who, in corporate financial parlance, are the beneficial owners of the sport: the players and fans. Recent scandals have already pushed FIFA to say it will press for fundamental change. Its ideas are fine as far as they go. Limiting the tenure of officers, including its president, would be refreshing. But soccer needs to go much further. FIFA’s current structure has three tiers. As well as the president, FIFA operates a 25-member executive committee. 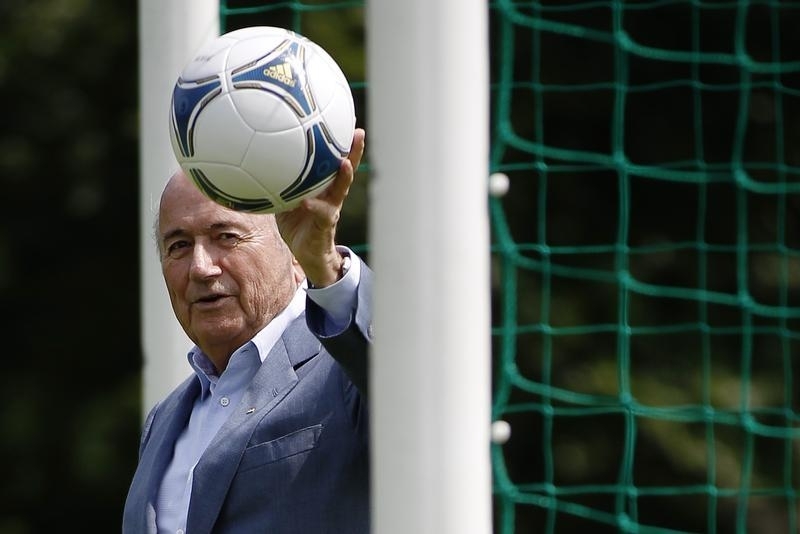 Even Blatter now concedes that is too big. It is hard for a board that size to arrive at good decisions and harder to ensure effective execution. A smaller executive committee would improve the system of presidential checks and balances. FIFA’s 209-member Congress constitutes the third tier of power. Under current governance arrangements, it also holds much of the ultimate responsibility for FIFA’s affairs. But it is a cumbersome body poorly suited to the task of holding senior officers of the organisation to account. It is also badly constructed because each soccer nation gets a single vote, regardless of size. Giving smaller and poorer football nations a voice is laudable. But the big South American teams have just 5 percent of the votes at FIFA Congress while supporting 10 percent of the world’s registered players and 14 percent of the audience for the 2010 World Cup – the most recent statistics available. African nations, on the other hand, account for 26 percent of Congress votes yet only 8 and 11 percent shares, respectively, of the world’s registered players and TV viewers. Europe has a quarter of the votes at FIFA’s ruling Congress. After factoring high numbers of registered players but a more modest TV audience, a Breakingviews analysis finds it warrants around 35 percent of the governance clout. Such a match-fit FIFA would give better representation to the millions of people who play the sport and the hundreds of millions who follow it. Sepp Blatter, the long-serving president of FIFA, soccer’s global governing body, said on June 2 that he is to resign. He will continue to serve until new elections are held. The news came six days after the U.S. Department of Justice indicted FIFA officials, accusing them of corruption, and Swiss authorities launched investigations into the way Russia and Qatar were given the right to host the 2018 and 2022 World Cup tournaments. On May 29, Blatter won reelection to a fifth four-year term as president.